 Your HVAC system is a critical piece of your home or office, essential to maintaining a comfortable indoor climate year-round. But, like any investment, there are lots of myths and misconceptions surrounding heating and AC—myths that could lead you down the wrong path when choosing a system. By understanding what’s real and what’s questionable, you’ll be better positioned to choose the right HVAC for your space. Read on for some of the myths we hear most. And if you still have questions? Get in touch. 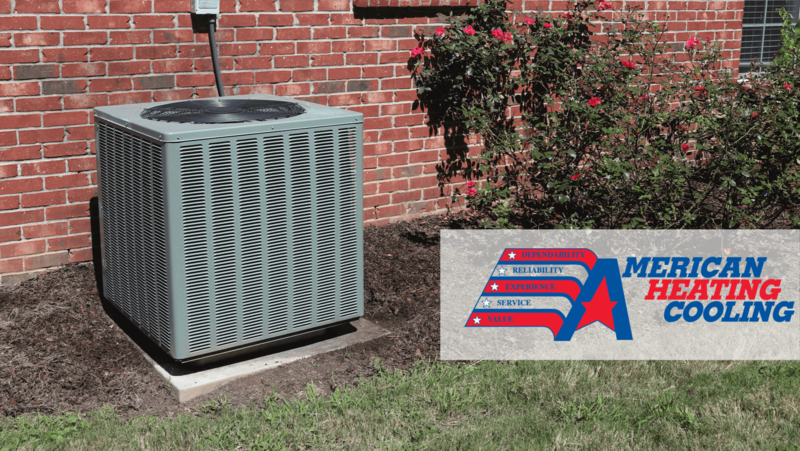 The expert team at American Heating & Cooling is here to help you navigate all things HVAC. Energy efficient HVACs will instantly lower energy bills. It’s easy to repair an HVAC system. Keep your thermostat on “auto” all year long. When you leave the house for extended periods, turn your thermostat up. Duct tape is a simple way to seal air duct leaks. Use portable electric heaters to save energy—and money. You’re losings tons of warm/cool air through your windows—even when they’re closed. Ceiling fans are a good alternative to air conditioning. Energy efficient appliances improve my home’s value. Bigger HVAC units heat/cool faster. Wrong. A properly sized HVAC system is the optimal way to maintain indoor climates. If your unit is too large, it may wind up cycling on and off—this can lead to added humidity. Larger units are also, often, responsible for unbalanced air distribution, ductwork cracks and other issues. In a word, FALSE. Because your unit is partially exposed, it’s easy for almost anything—dust, dirt, grass, leaves—to get stuck in the coils. When this happens, your air conditioner immediately kicks into overdrive, working harder to combat the slowdowns. This, then, leads to decreased efficiency and sky-high electric bills. The good news? It’s easy to clean outdoor units. Simply use your hose to spray down the AC, starting with the inside top section and spraying outward. This will naturally move debris out of the unit, and help maintain greater efficiency at less cost. This isn’t necessarily true. To reap the benefits of energy efficient HVAC systems, you need to ensure windows are properly sealed and that your home is well-insulated. If not, you’ll likely be losing heat and AC—and, as a result, will likely use more energy to achieve your desired climate. Chances are yours will give out before the 12-month mark. While different systems and different filters have different schedules, plan to check yours every month. When it’s filled, change it. By keeping tabs on your air filter, you’ll keep your HVAC contaminant-free and running efficiently. HVACs are big investments, and it’s not a good idea to start unpacking yours—literally—unless you’re an experienced pro. Too often, people see low-cost parts online and assume this means repair work is equally low risk. Unfortunately, even a minor misstep can lead to expensive corrections. Do yourself a favor and contact the pros now to dodge repeat work—and repeat costs. Again, this one gets a big FALSE. During the winter, “auto” is a good setting for your HVAC. But when the temperatures rise, consider running your system 24/7, even when you aren’t using the AC. While it may sound counterintuitive, by keeping air moving consistently, you’ll likely save energy—and energy costs—while keeping your space more comfortable day-to-day. Even though no one’s home, keep your thermostat at a comfortable temperature. Why? Because a hot house is a lot for your HVAC to overcome when you roll in hours later. The end result is a less than optimal climate for, potentially, hours while the system catches up. Maybe—if you’re only using a portable unit to heat a small space. If you use multiple space heaters—or a space heater and your HVAC—you’ll likely be spending more. Despite its name, duct tape shouldn’t be used to seal air ducts. Aluminum foil tape and mastic sealant are better options and won’t peel like duct tape. Better yet, hire a pro. It’s possible—but it’s nothing caulking won’t fix. It’s actually more likely you’re losing energy through your ceiling and roof. On average, about half of heating and cooling loss comes from air leaks and low-quality, low-performing insulation. Fans, simply, don’t cool a space—they only make you feel cooler because of the wind-chill effect. Think about a breeze on a sweltering summer day. It’s calm, cool and relaxing—but it’s still 100 degrees outside, in spite of that breeze. That said, ceiling fans can be a good complement to an HVAC system. With a good fan in place, you can set your thermostat to a higher temperature, but feel cool—this saves energy and helps you save on your energy bill. Same goes in the winter—flip a switch to reverse the fan’s direction and your ceiling fan will help keep warm air lower, and more in line with your living space. This one is TRUE. Energy efficient appliances often means lower monthly energy bills, which is a huge win for buyers. Talk with our comfort advisors about how to make your home a more comfortable space.